The Pennovation Works is anchored by the Pennovation Center, a business incubator and laboratory that aligns and integrates researchers, innovators, and entrepreneurs for the commercialization of research discoveries. Intended to marry entrepreneurs with an expert workforce and scientifically advanced facilities, key features of the Pennovation Center are the common creative spaces, including coworking areas, a cafe, and a venue for events and programs. By creating an atmosphere for collaboration, creativity, and productivity for innovators from all disciplines, the Pennovation Center brings people together to foster interaction and the exchange of ideas. 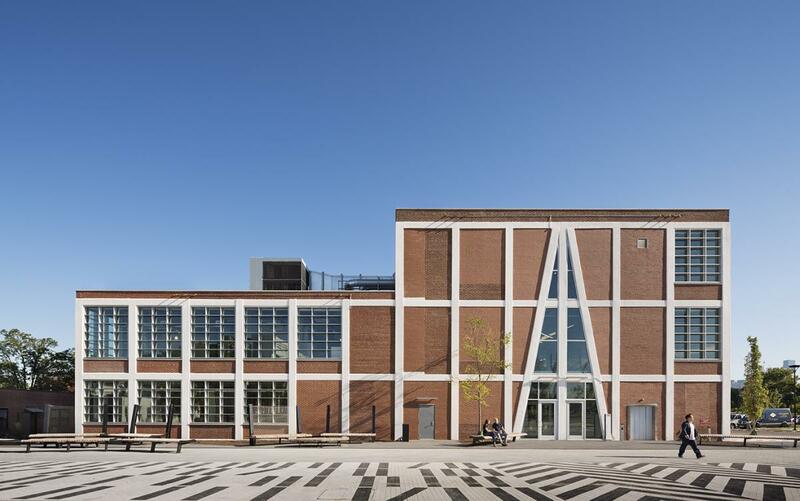 Interior spaces in the 58,000 sqft building emphasize daylighting and retain an industrial character to develop social space with a "cool factor," while an adjacent outdoor plaza focuses activity on the site and link surrounding buildings and open spaces to this new hub. Landscaping for the entire site includes stormwater management techniques, increased connections between buildings, and access to Schuylkill River trails. Wayfinding and signage fosters an identity for the site, and increases visibility of the site and the Center from the surrounding area. The campus development plan, Penn Connects, recommends sustainable development for all new projects. 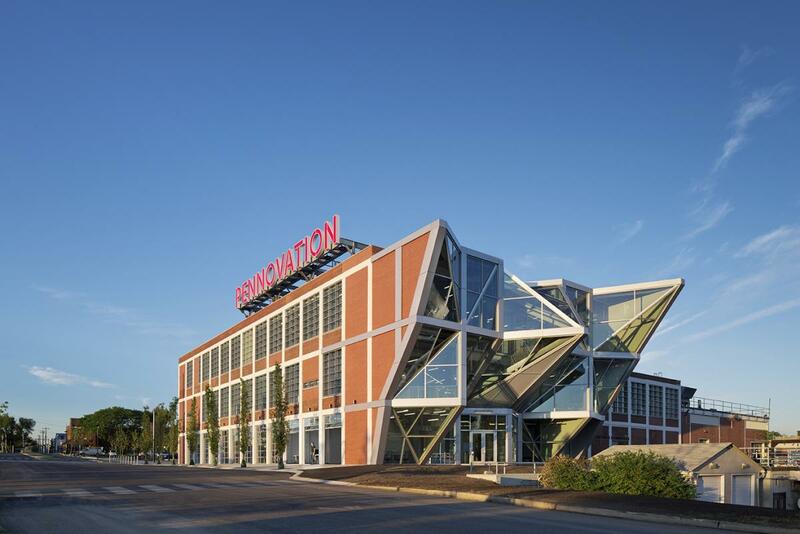 The Pennovation Center has been awared a LEED Gold rating by the US Green Building Council. The Pennovation Center is operated and staffed by the award-winning innovation management company, 1776. The Center staff includes a full time Managing Director, Community Manager, and Lab Manager, who ensure that our members and tenants have a world class experience each day and manage all meetings and special events. The Pennovation Accelerator invites a cohort of local startups to engage in a six-week program to develop their business strategy and cultivate their network. Cohort companies are hosted at the Pennovation Center and participate in weekly educational sessions presented by subject matter experts. Each company is paired with an experienced mentor to advise them on their journey. And curated networking events help immerse the companies into the larger Philadelphia entrepreneurial community. The Pennovation Accelerator concludes with Demo Day, where companies pitch to mentors, investors, and peers at the Pennovation Center. Learn more about the Pennovation Accelerator. Johnson & Johnson Innovation (JJI), JLABS launched the JPOD @ Philadelphia QuickFire Challenge to accelerate healthcare innovation and commercialization in the region. The innovator with the best idea, technology, or solution that improves human healthcare will receive grant funding, residency at the Pennovation Center, access to educational programs at JPOD, and mentoring from the JJI network of experts. Visit The Challenge site for more details. Startup Grind is a global startup community designed to educate, inspire, and connect entrepreneurs. Powered by Google for Entrepreneurs, the organization hosts monthly events in more than 150 cities and 65 countries featuring successful local founders, innovators, educators and investors who share personal stories and lessons learned on the road to building great companies. Philadelphia chapter events are produced by 1776. Past guests have included Josh Kopelman of First Round Capital, Robert Moore of RJ Metrics, Bob Moul of Artisan and Gabriel Weinberg of DuckDuckGo. Members are solopreneurs, multi-person startups, freelancers and/or mobile professionals working, collaborating and engaging within Pennovation Center. 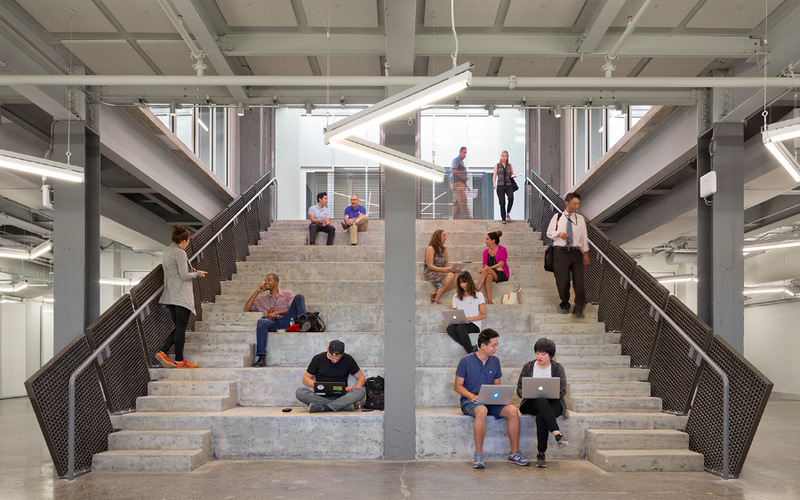 The space features offices, lab benches, Startup Garages and coworking desks on two floors and flexible floor plans to fit any budget and workstyle. Some memberships tiers include 24/7 access, allowing tenants to produce their best work during non-traditional hours. You'll be in great company...take a look at a list of our Current Member Companies. The following flexible options are available depending on the stage of the concept, invention or company. At the Pennovation Center, members can experience the collaborative energy of open coworking spaces in the heart, create your inventions in our Startup Garages, conduct research in our state of the art labs, or write and produce your work from the quiet of a private office. Pennovation Center features conference rooms, collaboration zones, and flexible spaces ideal for a variety of professional and social occasions. With support from our network of planning and production professionals, we help members and guests stage corporate events, networking mixers, offsite retreats, workshops, and conferences. Contact us to review our resources and available spaces, or use the link below to instantly reserve a space by the hour or day. Interested in visiting The Pennovation Center? We’d love to show you around! Please choose the option below which best applies to you. 1. You are interested in joining our community of innovators, and would like to tour The Center to view available desk/office/lab space. 2. 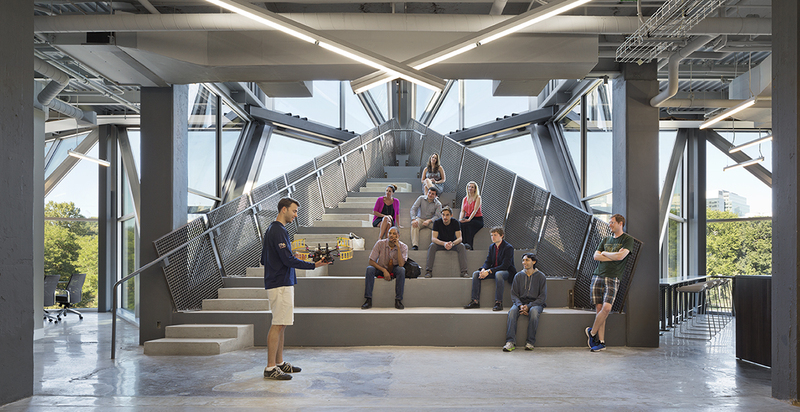 You are a member of the Penn or Philadelphia community, and would like to take a tour of The Center to learn about the past, present and future innovations taking place on site.